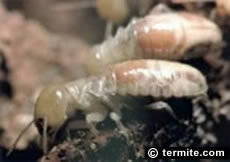 HOME-OWNERS in the Leichhardt Inner West Sydney region, who find signs of termite activity inside their home have several options for professional protection from continued termite infestation and timber damage in the building. FUMAPEST has been providing professional termite control services in the Leichhardt Inner West Sydney region for more than 50 years, with a very high success rate for complete termite protection. FUMAPEST Spider Identification Chart with FIRST AID spider bite procedures - a ready reference guide in full colour of dangerous and venomous spiders in the Leichhardt region.